With the start of the new year, copyright is already back in courts. Popular digital music service Grooveshark's parent company, the Escape Media Group, was sued on Wednseday before the New York State Supreme Court in Manhattan for, inter alia, breach of contract and an accounting (the case is EMI Entertainment World Inc v Escape Media Group Inc, New York State SupremeCourt, New York County, No. 650013/2012) . EMI claims that, since entering a licensing agreement to stream music in 2009, Escape has "made not a single royalty payment to EMI, nor provided a single accounting statement." 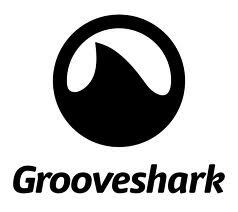 The complaint refers to alleged written and oral estimates by Grooveshark that it owes at least $150,000, but EMI said it believes the actual sum "greatly exceeds" such estimates. As recalled by Reuters, the filing came less than a month after three other major record companies -- Vivendi SA's Universal Music Group, Sony Corp and Warner Music Group -- filed a lawsuit before the U.S. District Court, Southern District of New York, accusing Grooveshark of pirating thousands of songs (UMG Recording Inc et al v Escape Media Group Inc et al, U.S. District Court, Southern District of New York, No. 11-08407). 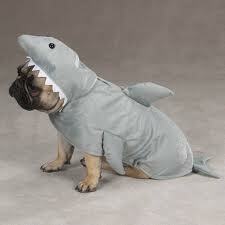 Grooveshark allows users upload songs to its servers, which other users can then stream free. It calls itself the world's largest on-demand and music discovery service, with 30 million monthly active users, more than 15 million songs, and 14 billion streams a year. According to its DMCA Takedown Policy, Grooveshark is committed "to honor all takedown requests that comply with the requirements of the Digital Millennium Copyright Act (DMCA) and other applicable intellectual property laws" In any case, and "[t]o be clear, as long as your infringement claim complies with the terms of the DMCA we will honor it, however we would much rather pay you than remove your content." As pointed out by the New York Times, "[w]ith the music industry coming to rely more and more on fully licensed services like Spotify and Rhapsody that stream music by subscription, EMI’s suit highlights the legal gray zone in which Grooveshark operates."